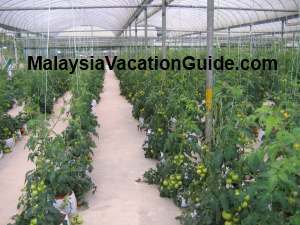 The Agro Technology Park is managed by Mardi Cameron Highlands and is one of the main attractions that you should go if you are visiting this highlands. 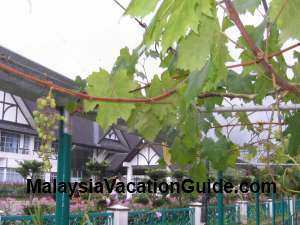 This centre was established in 1925, is about 1,400 m above sea level and 1km away from Tanah Rata town. MARDI is an acronym for Malaysian Agricultural Research and Development Institue. 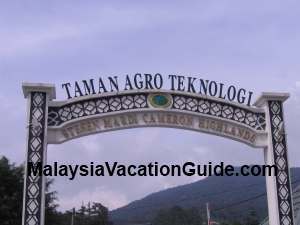 The entrance to Mardi Cameron Highlands. 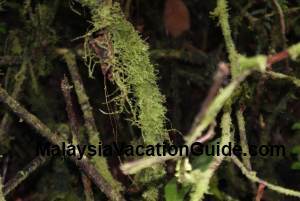 Plan to spend 2-3 hours here and more if you intend to do jungle trekking. Trails 3 and 7 pass through this park and lead you to Gunung Beremban. 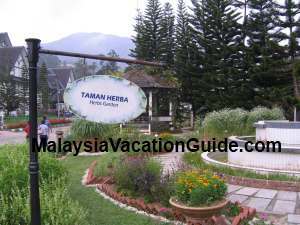 This park was officially opened by the Sultan of Pahang on 14 June 2003. The first garden that you will encounter at the entrance of the park is the English Garden. There are many colourful flowers and plants with nicely done landscaping around them. A good location to take some photographs as well as learning the various type of flowers here. 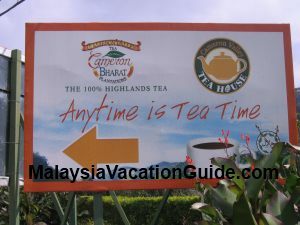 This park houses the oldest tea bushes in Malaysia and you can still see them today. 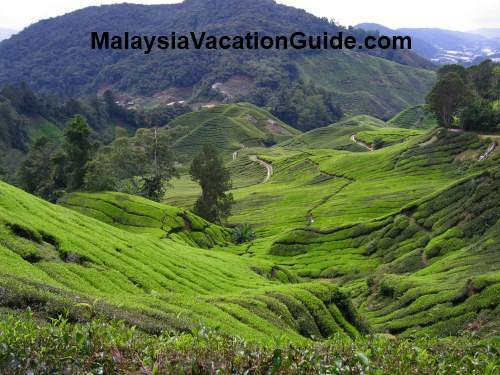 Go towards the end of the park and you will see the thriving tea trees with plenty of leaves on the slope of the hill. Climb up the cemented steps and take a panorama view of this place. There is a shelter with benches that you can sit and enjoy the scenery of this park and the surrounding area. 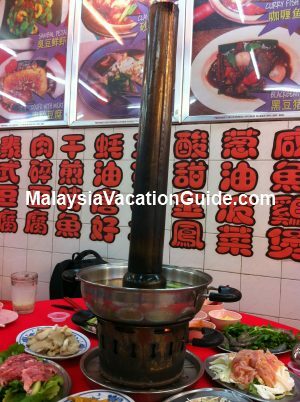 The tea processing factory established in 1935 was also the oldest in Malaysia and is still capable of producing black tea today. Plenty of herbs planted here for your general knowledge. 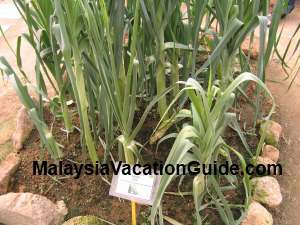 Learn about the herbs of Malaysia by visiting the Herbs Garden. You will see mint(also called pudina) plants which are usually taken fresh. Look out for Lemon Verbena which helps to treat migraine and can be made into herbal tea. Ruta Garuda is another plant that is used to dispel insects in your house. Go to Rose Garden and see the many roses that are planted in the greenhouse. Make sure you bring your camera along with you and take the red, purple, yellow and a variety of other colour at this garden. Orchid Garden has many species of colourful orchid as well. 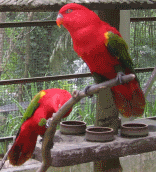 Try to learn some species as part of your learning experience here. The vine plants and a bunch of grapes. 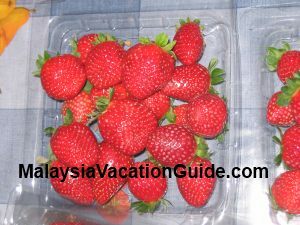 Look out for vegetables and fruits that were not found at the lowlands of Malaysia. Strawberries, grapes, apples and pears are some of the temperate climate fruits that can be planted here due to the cooler weather at the highlands. 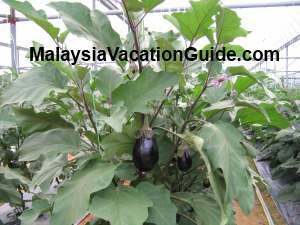 There are also plenty of brinjals, tomatoes, bottle gourd, broccoli lettuce, purple colour radish, leeks, parsley and sweet corns being planted here for your educational knowledge. Walk further into the park and you will see the Animal Parks near the children's playground. There are rabbits and birds that you can see here. Leeks is one of the favourite dish during Chinese New Year. 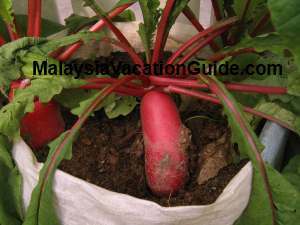 The usual radish is white in colour but this one is pinkish and purple. Open from Tuesday to Sunday from 8am to 5pm. Closed on Monday except when it is a public or school holidays. Lunch Break: 12.45pm to 2pm from Monday to Thursday and 12:30pm to 2:30pm on Friday. No lunch break on Saturday and Sunday. From Tanah Rata town, travel towards the direction of the hospital. This park is located before reaching the hospital.